It was a big day for Bison football on Feb. 23, as the club announced the commitment of a new star defensive tackle, a new offensive coordinator, and a special teams coordinator. The big news coming out of Thursday’s press conference was the signing of 17-year-old Cole Adamson, a recent Oak Park grad and the team’s new defensive tackle. 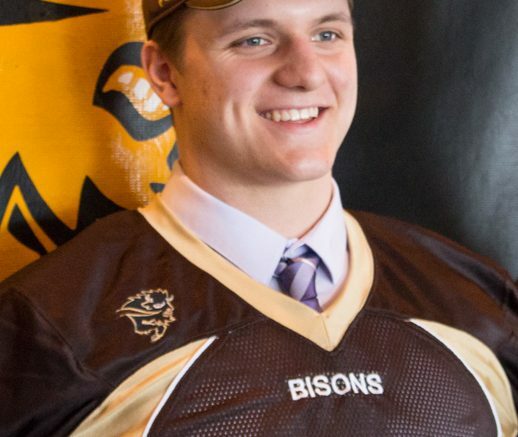 The six-foot-five, 265lb kid was potentially the most sought after recruit in Canada, with Bison head coach Brian Dobie putting him in the same class as guys like former Bison and current New Orleans Saint defensive lineman David Onyemata and Bison offensive lineman Geoff Gray. Dobie went on to list the schools Cole turned down, walking away from offers by Simon Fraser, UBC, Western, and McGill to stay and play in his hometown. From all accounts Adamson is a star in the making. Despite the hype, Adamson was quite humble about the chance he was being given. When asked if the success of other Manitoba-produced linemen like Onyemata and Gray weighed on his decision, Adamson praised the program and was hopeful for the future. 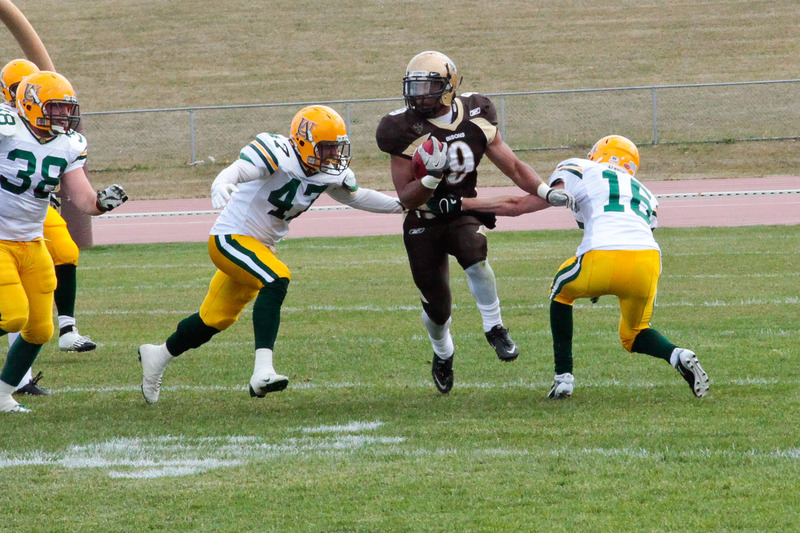 The new tackle for the Bisons wasn’t the only one garnering praise. Dobie beamed at the group’s new offensive coordinator Blair Atkinson and special teams coordinator Ryan Karhut. Atkinson played for the Bisons from 2003 to 2005, and after a short stint with the Winnipeg Blue Bombers in 2006-07, he became the receivers coach for the Bisons. He is taking the reins from previous offensive coordinator Vaughan Mitchell. In his first season as the receivers coach, the team won the 2007 Vanier Cup. Since then, Atkinson has had six of his players selected in the CFL draft and three sign as free agents. Those fans worried that the Bisons O-line will have everything change drastically heading into next season need not worry. Karrhut spent time playing for the University of Central Florida before joining the Bisons and then turning pro with the Montreal Alouettes in 2008. 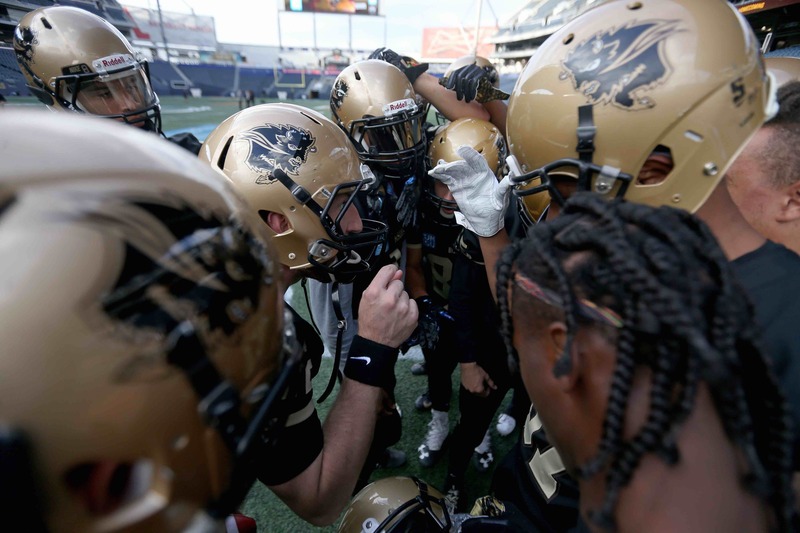 The former offensive lineman returns to the team he helped lift the Vanier Cup with back in 2007, after getting some experience coaching at the high school, junior, and U Sports levels. Although Dobie joked that both Karhut and Atkinson had Bisons tattooed on their hearts, Karhut took the sentiment more literally when discussing his feelings about returning. With the experience shown by the two new members of the Bisons’ coaching staff, and the seemingly limitless potential of their new star, the 2017 football season is beginning to look like another banner year for the herd.